MARK ALLEN HAS apologised for comments he made against Cao Yupeng of China, following his defeat in the opening round of the World Snooker Championship. After losing 10-6 to Yupeng, Allen alleged that his opponent had made an illegal push shot when leading 5-4 and then failed to declare. He went on to accuse two other Chinese players of ‘fouls and blatant cheating’ and remains in deep trouble with World Snooker over the comments. “I overstepped the line when I was heavily influenced by the emotions of a disappointing defeat,” Allen said. Allen has already been fined £1,000 for comments he made about conditions at China’s Haikou World Open, and has now been given 14 days to respond to the newer charge from the World Professional Billiards and Snooker Association. The 26-year-old, however, also apologised to World Snooker. “I would also like to apologise to World Snooker,” he said after his most recent remarks. “I appreciate the hard work by many people to grow our sport and I am truly horrified to think that my actions could be perceived to be detrimental to this. Before his apologies, World Snooker chairman Barry Hearn had expressed his exasperation at Allen’s conduct. Email “Mark Allen apologises to Cao Yupeng, and snooker authorities, over remarks”. 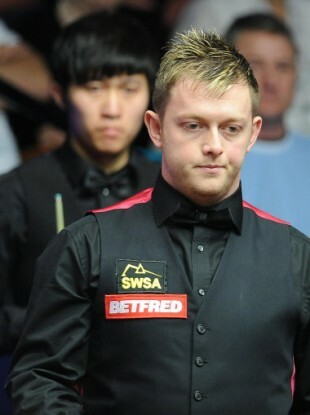 Feedback on “Mark Allen apologises to Cao Yupeng, and snooker authorities, over remarks”.